What makes FSA Tennis Academy Singapore unique? To really stand out on the tennis court, it makes a positive difference to have be trained by a tennis academy that stands out in its own right. 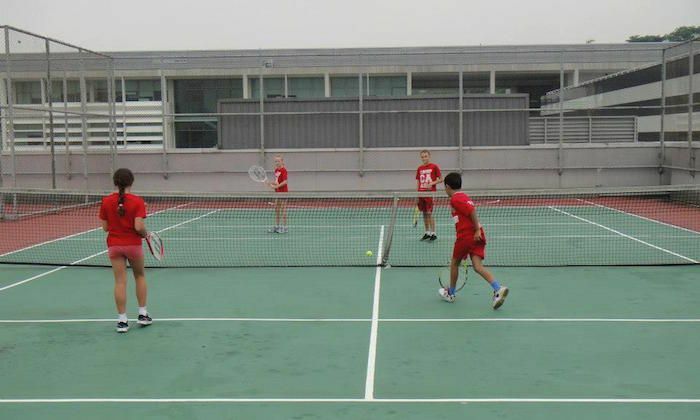 Across Singapore, there are many good and viable tennis academies to learn important skills at. However, one company that is truly unique and impressive is the FSA Tennis Academy. Future Sports Academies approach tennis lessons with the goal to deliver professional coaching by having high quality programs in place. These are tennis programs that incorporate the latest developmental techniques that tennis has to offer. Through a holistic and integrative teaching approach, students of FSA gain practical and useable skills. The coaches and teachers at FSA are committed and reliable to teaching the sport in an understable, patient, and practical manner. They teach with the intention of making lessons fun and interactive in a positive learning environment. This critical enhancement approach makes giving feedback and compliments much more beneficial to the students’ wellbeing on a physical and emotional level. Throughout Singapore, FSA has a positive record for delivering high quality tennis academy programs in many locations. Any one of any age and level can join in the enjoyment in learning this great sport through FSA. There are unique programs for school aged children, women’s only groups, corporate team building events, and team trainings. Tennis can be played competitively or just for fun in any way possible at FSA. A great advantage at FSA is that there are trial lessons so anyone can come and try it out before committing to anything. There are also a range of tennis camps and clinics organised at FSA. These are done for adults, juniors, and high performing juniors who want to take their tennis skills to the next level. These unique camps are a great high-intensity program to refine a lot of important skills and drills. With the main of FSA being to provide these high quality lessons in a fun and engaging way, it makes this tennis academy in Singapore much more appealing than ones that are geared towards competitive only tennis. At FSA, you have the opportunity to learn to the basic skills in tennis and advance this skills with a much less pressured approach. This can be more beneficial in the long run of learning and playing tennis. Another unique feature of FSA is that they are very flexible with scheduling options. This makes it more accessible for busy people with busy lives. FSA has a way for the tennis coach to work around you and your life. This can include times during work and lunch breaks, before and after office hours, and any other way FSA can accommodate your scheduling needs. All across the island of Singapore you are bound to find an FSA tennis academy program that fits into your life, brings your tennis skills about in an active manner, and provides a unique place for you to really engage with and enjoy the sport.